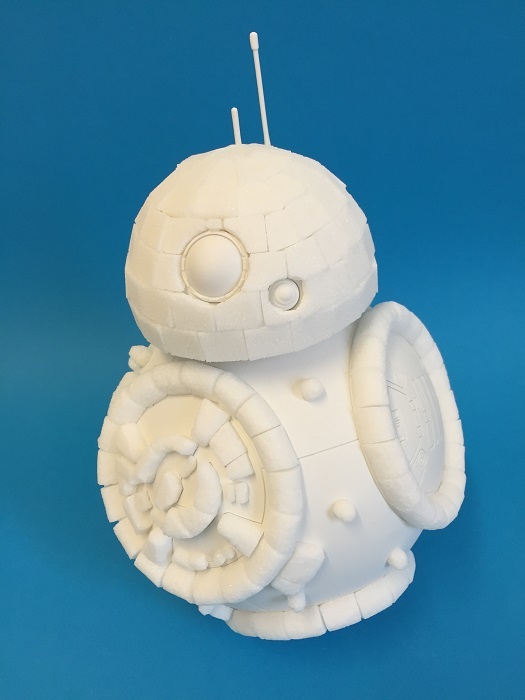 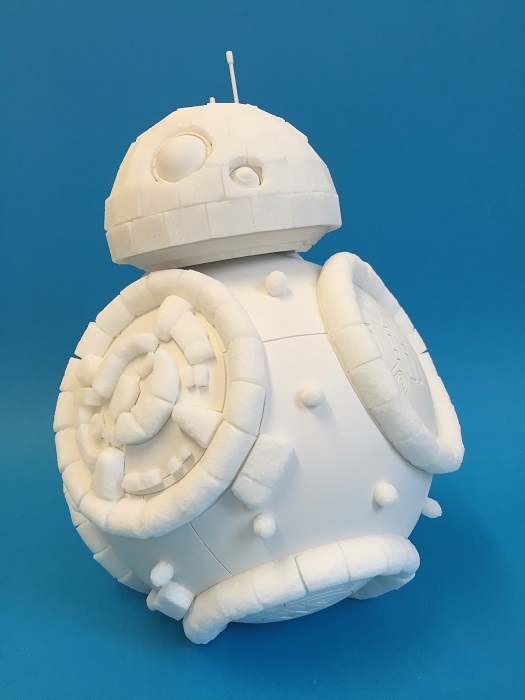 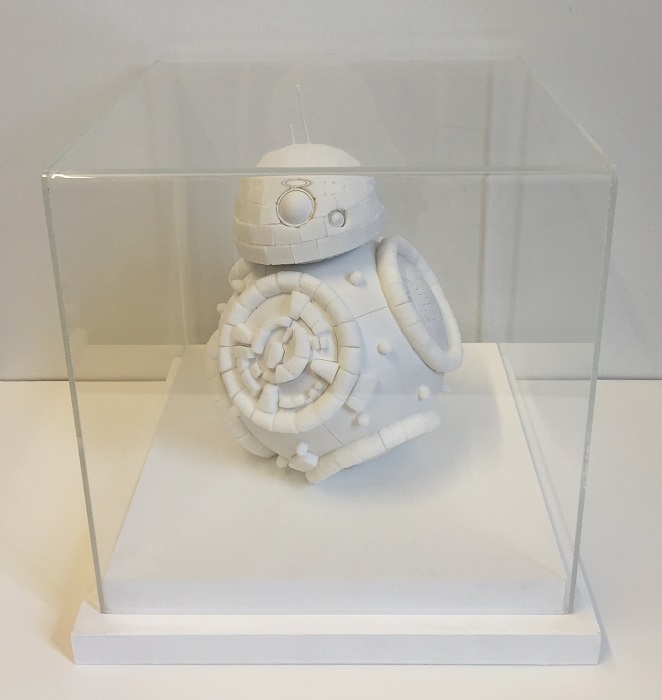 In March 2016, Brendan Jamison was approached by Disney to create a sugar cube sculpture of the BB-8 droid from Star Wars Episode VII. 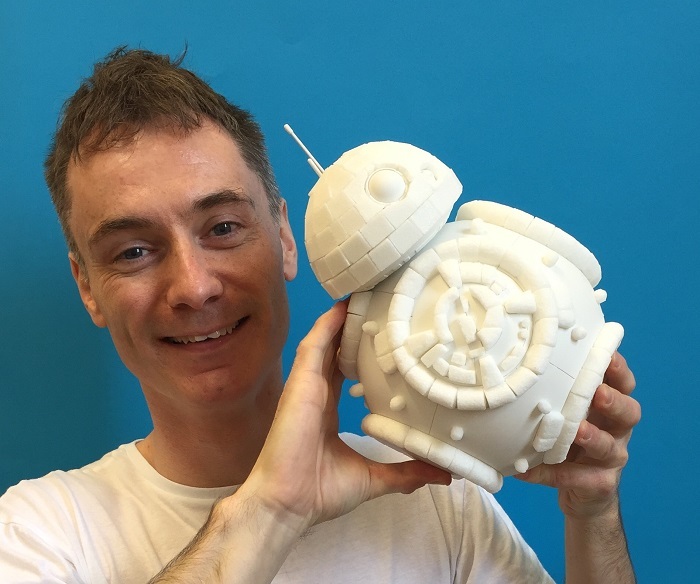 Completed in early April, the sculpture is part of the Star Wars Force for Change campaign across the UK, with artworks to be auctioned off with 100% proceeds to raise funds for London's Great Ormond Street Children's Hospital. 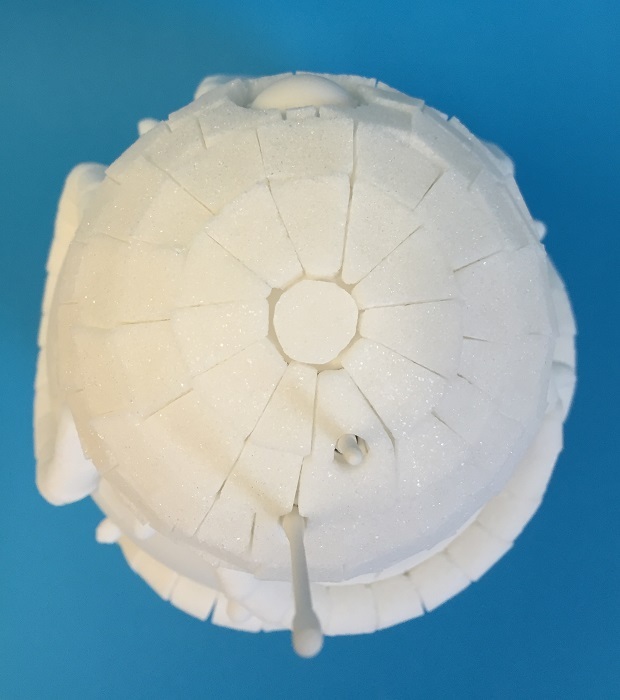 Carved sugar cubes and silicone. 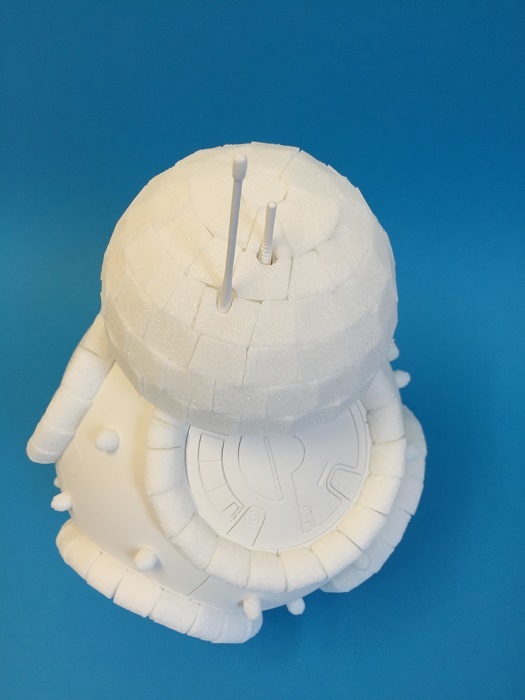 25 x 18 x 18 cm.